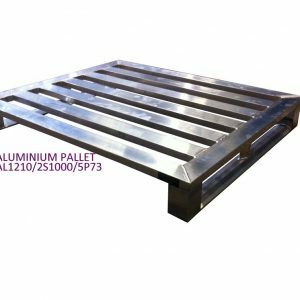 Stainless steel pallets, shown here with sheeted top deck, manufactured to order, any size and quantity. 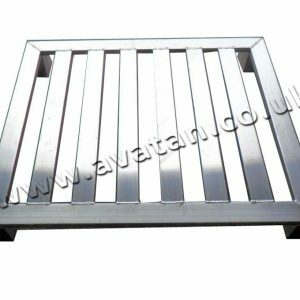 Fabricated from corrosion resistant and hygienic stainless steel, these pallets may be easily cleaned and are suitable for most food and pharmaceutical manufacturing and processing plants. 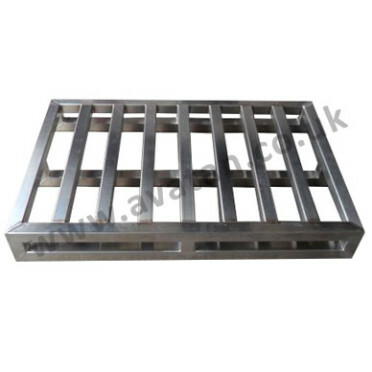 Shown here as a two way entry pallet with free entry on the short sides and skids on the long sides. 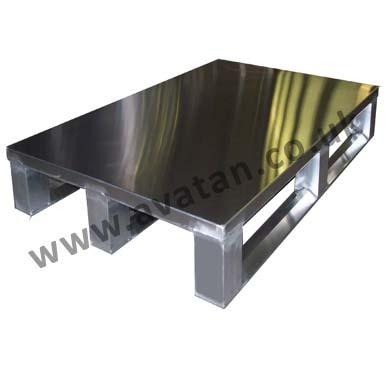 Stainless steel stackable stillages, tables and workbenches are also available from Avatan. 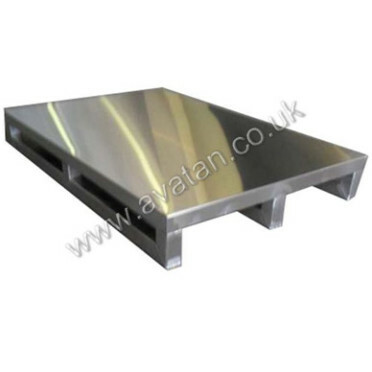 Please call or fill in our enquiry pages and ask for details.